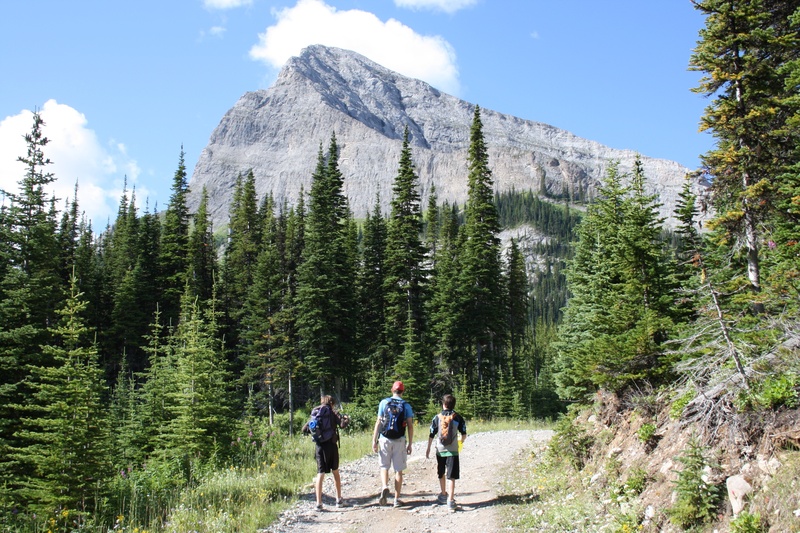 Three friends heading towards Mount Ward. 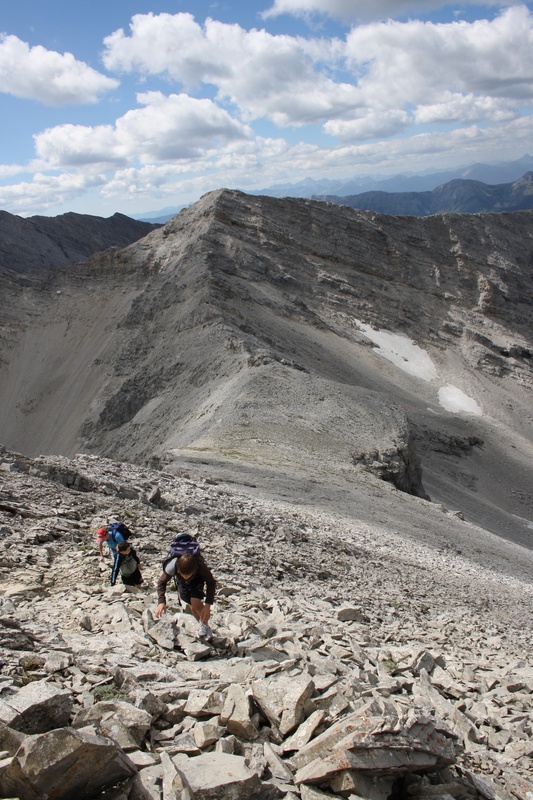 A mere three days after getting their first taste of scrambling on Turtle Mountain, my two sons, Joel and Nathan, were begging me to take them again – and I was thrilled to oblige! 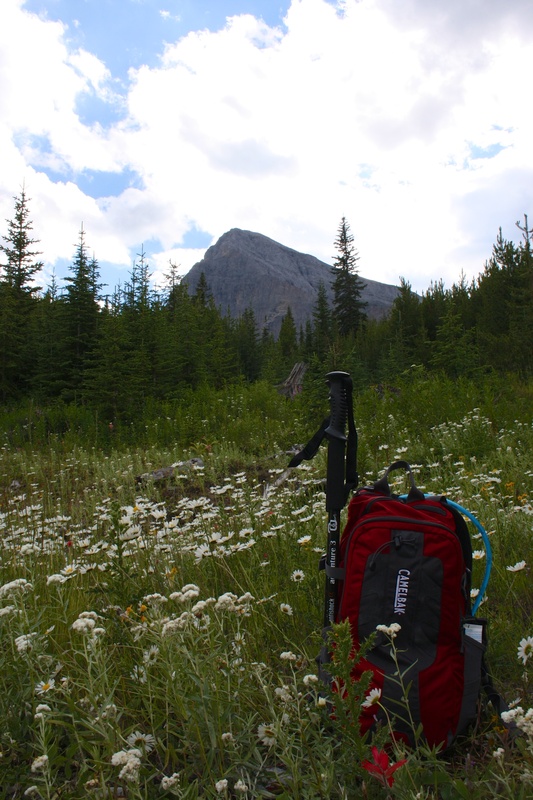 For this trip, I consulted Alan Kane’s, Scrambles in the Canadian Rockies, and we followed his trip report as closely as possible. Joining us was Joel’s friend, Mike, who was eager to get up his first mountain after hearing from Joel and Nathan how much fun they had on Turtle. 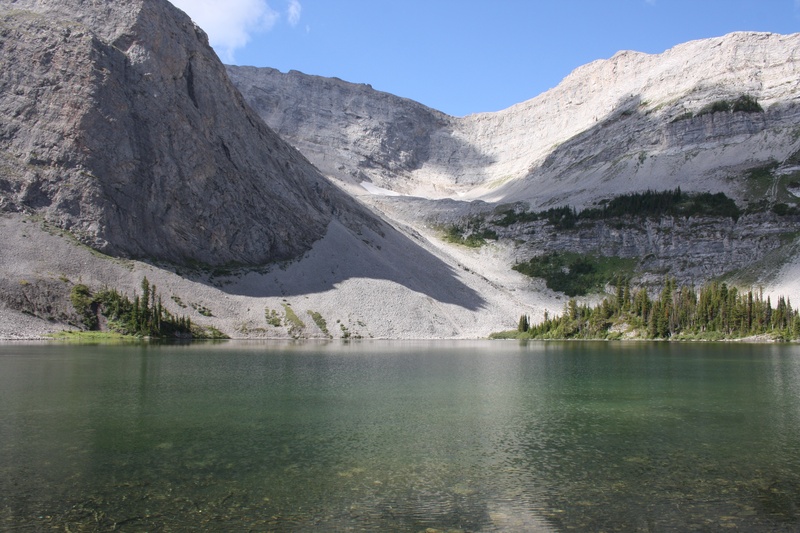 In summary, Mount Ward is essentially a steep hike on scree slopes that lead up from the shores of Window Mountain Lake. 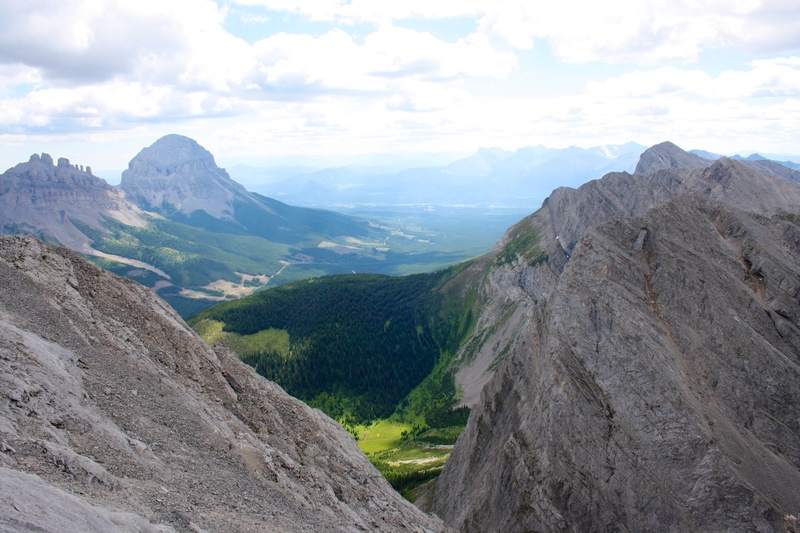 It offers wonderful views of the surrounding area including Window Mountain, Allison Peak, Racehorse Mountain, the Seven Sisters, and Crowsnest Mountain. Window Mountain Lake with Mount Ward on the left. 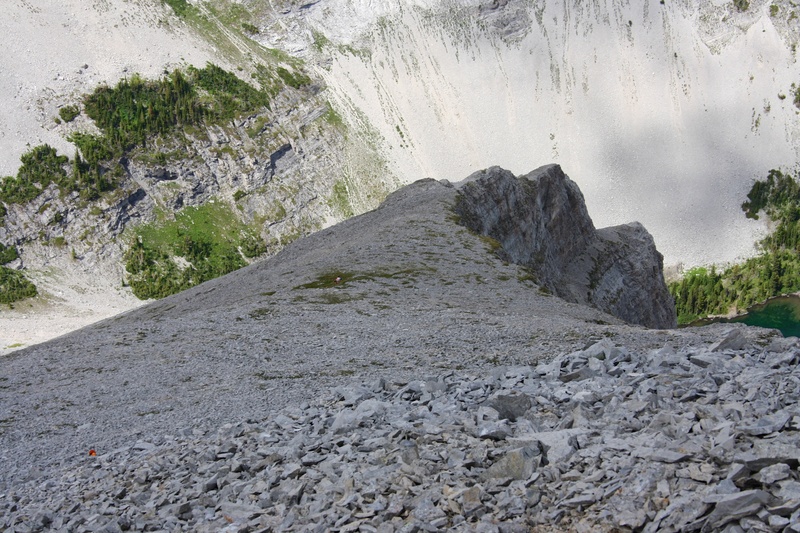 The route to the summit goes up the scree slopes in the centre. Looking up at our ascent route. Ward’s summit is not pictured. 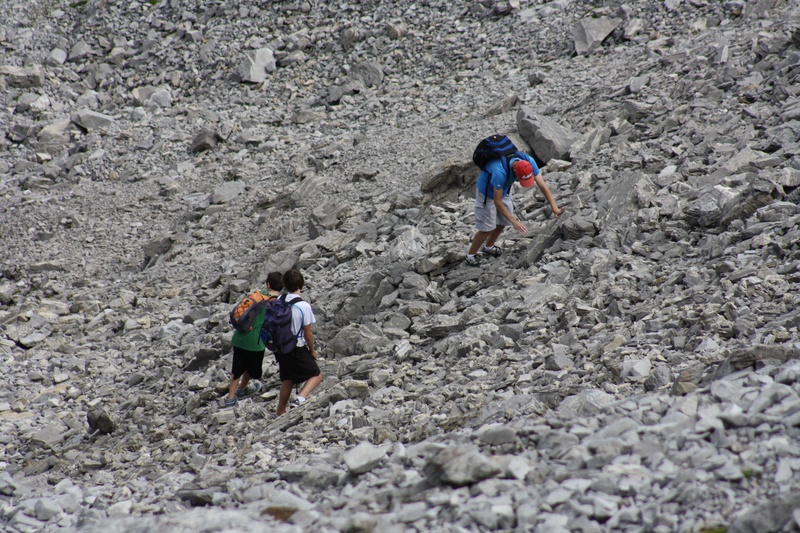 Joel, Nathan and Mike make their way up Ward’s lower slopes. 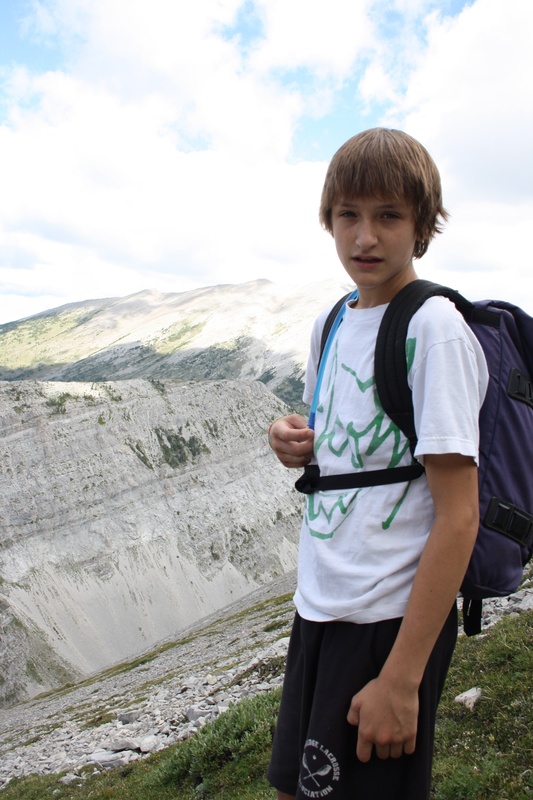 Nathan having a water break on the slopes of Mount Ward. Behind him is Racehorse Mountain. Joel with one of many, many fossils that he found on Ward. Having lunch on the side of Ward. There were still snow patches in the bowl. 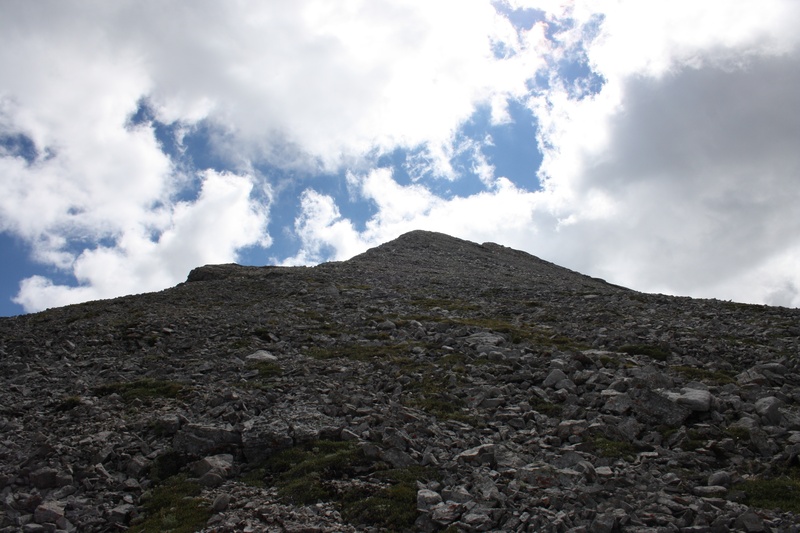 Looking up to the summit. The col before the ridge to the summit. On the right is Window Mountain. In the distance, left to right, are the Seven Sisters and Crowsnest Mountain. 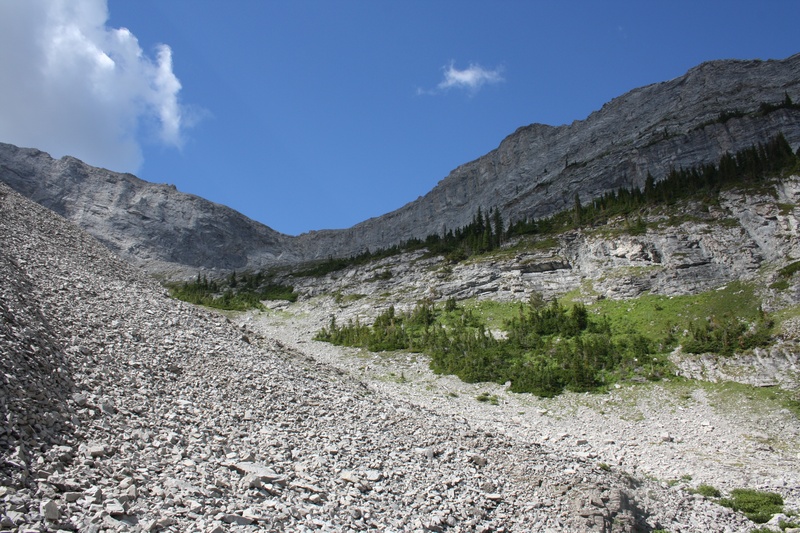 If you head right off of the col, you will be heading for the connecting ridge that leads to Allison Peak. 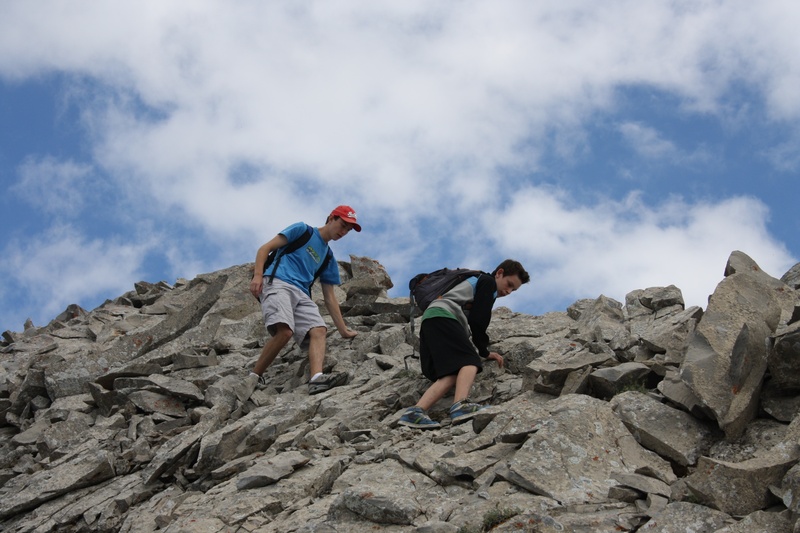 Joel and Mike peer over a cliff along the ridge. Window Mountain is in the background. 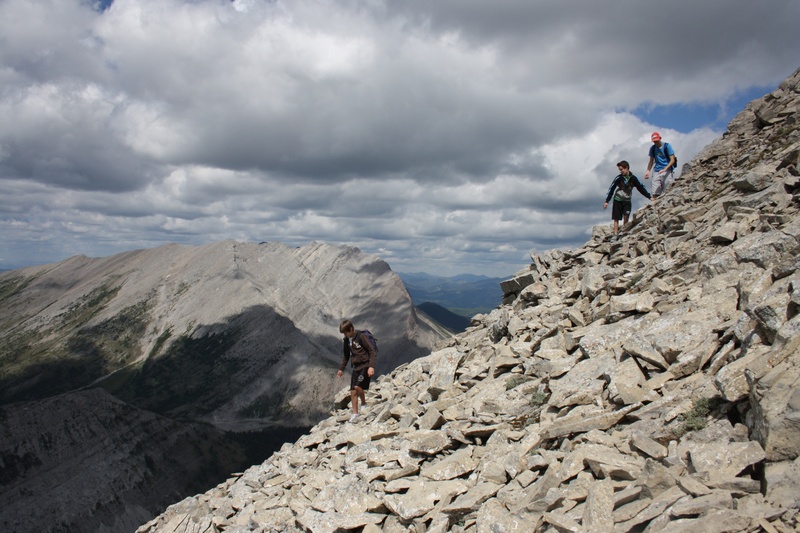 Climbing the ridge toward the summit. 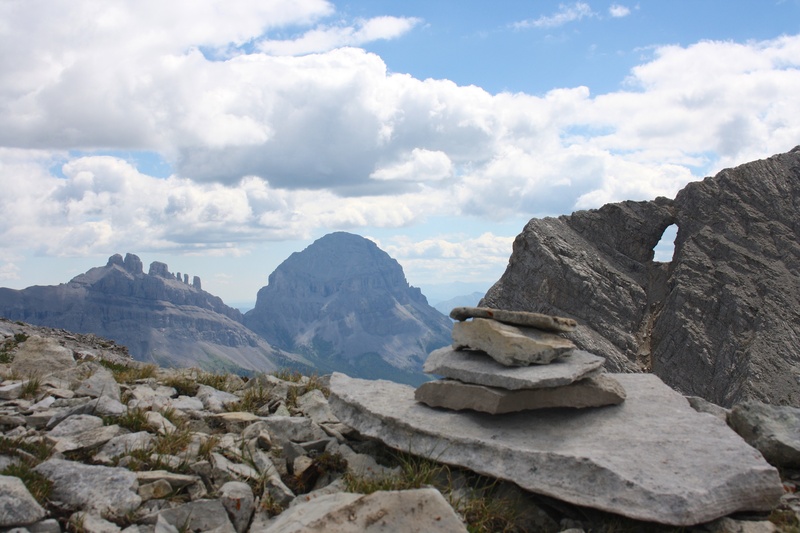 You can see the high point (centre) between Mount Ward and Allison Peak in the background. 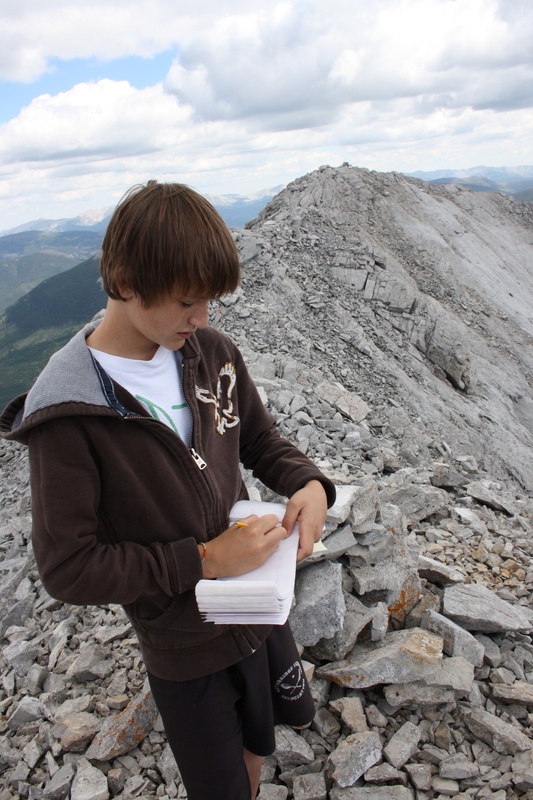 Nathan signing the summit register. It is always fun to keep adding our names to these and reading entries from other climbers. In this case, from as far back as 1996. 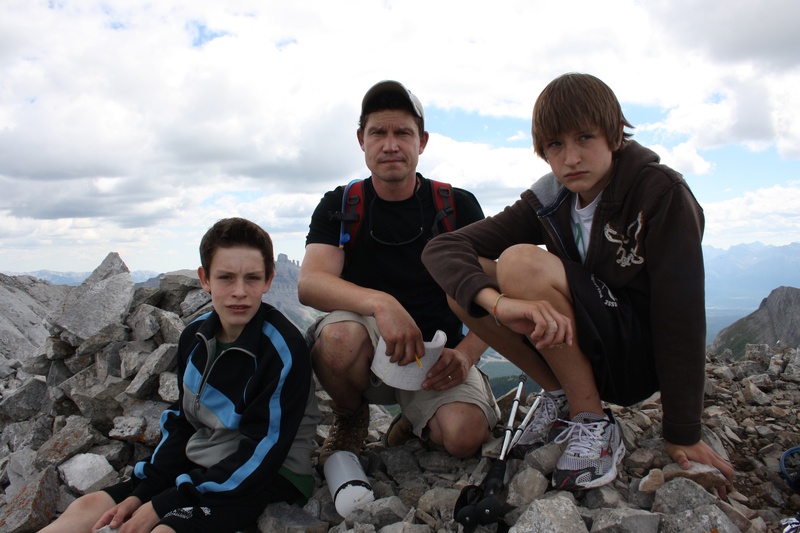 Joel, Nathan and I on the summit. 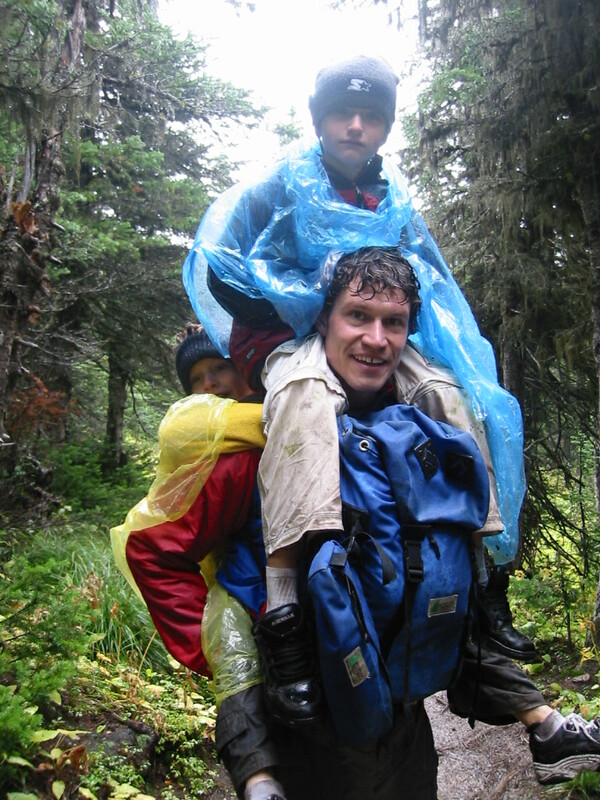 The boys have certainly come a long way in their ability to hike since they were little 😉 – see the picture below from 2004 when I had to carry them down the last kilometre of our hike to Upper Rowe Lake in Waterton. 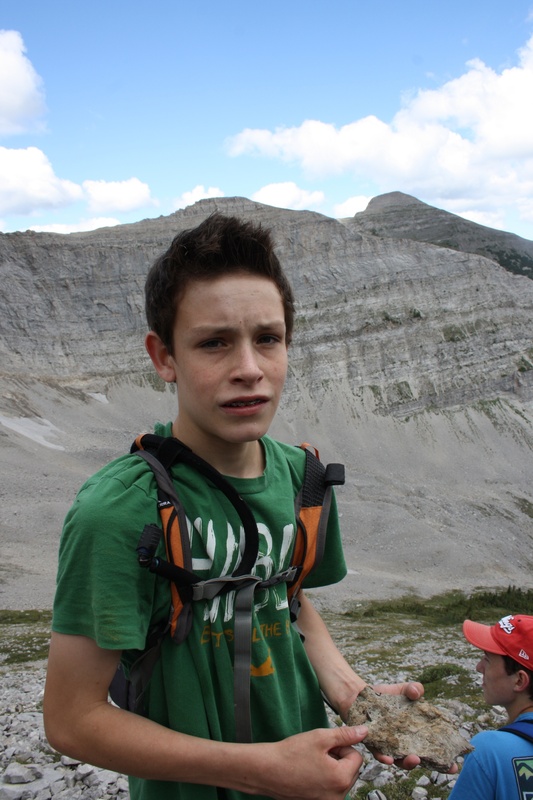 I see that Nathan still brings the same game face when he hikes. The view to the southeast from the summit of Mount Ward. 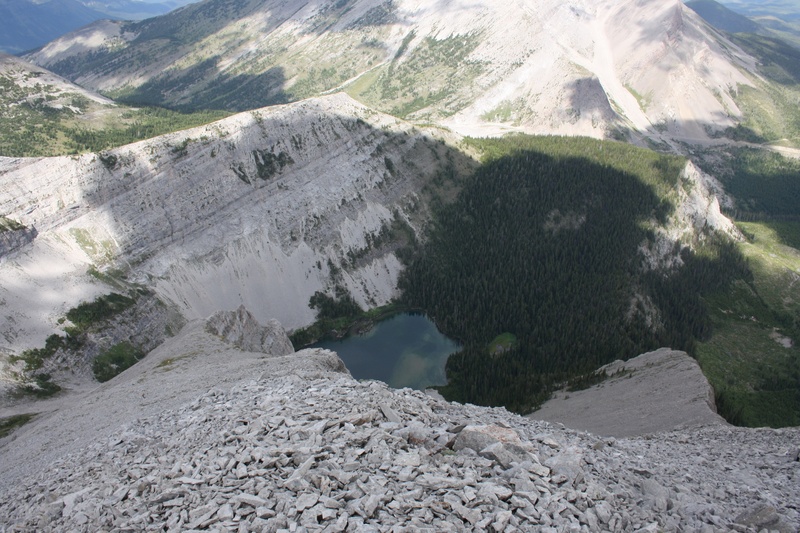 Crowsnest Mountain and the Seven Sisters are on the left. Window Mountain is on the right. Looking south. 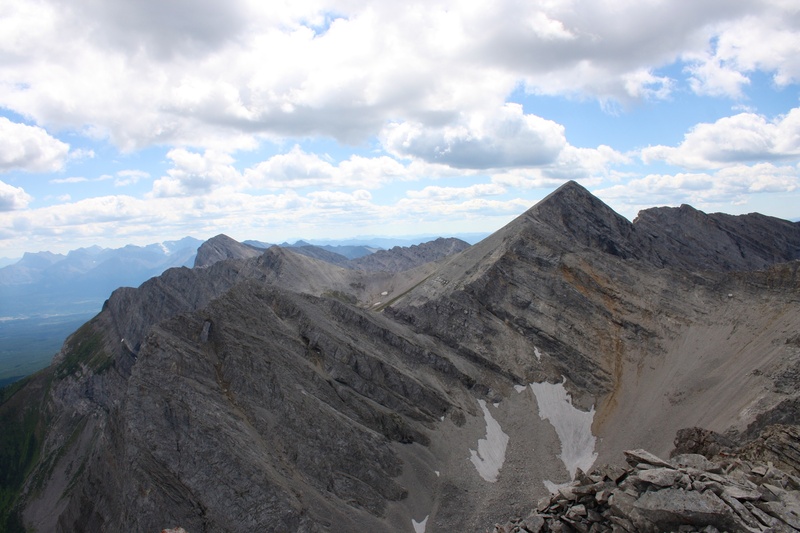 The triangular peak on the right is Allison Peak and on the left is Window Mountain. You can summit Allison from Ward if you have enough energy and the technical ability. We didn’t on this day…. The second peak of “Deadman Peak” can be seen in the distance on the left. Looking down from the summit at Window Mountain Lake. 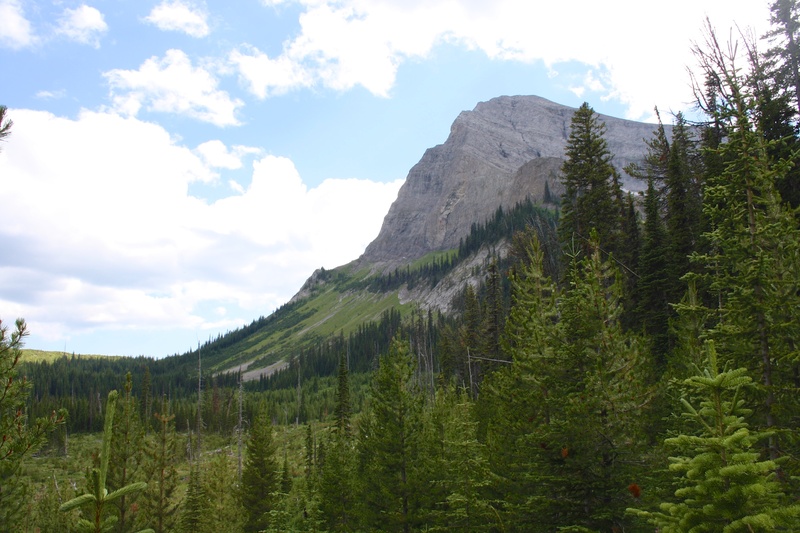 The lower slopes of Racehorse Mountain are in the background. 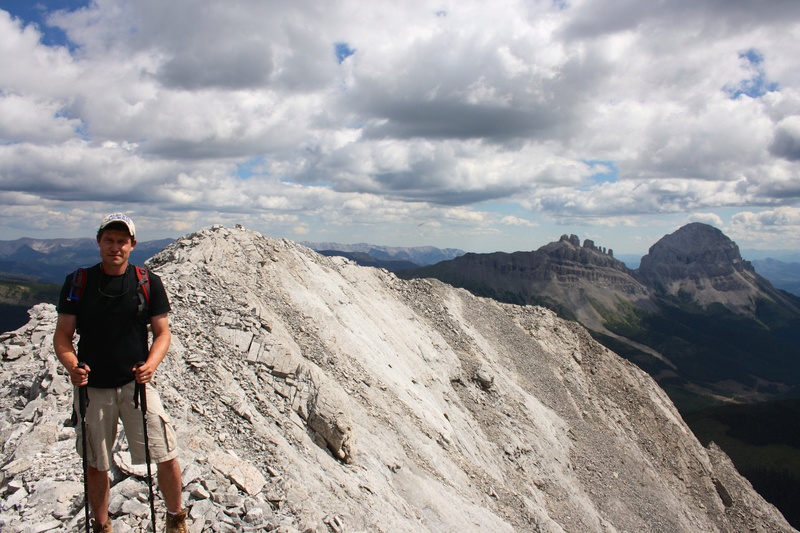 On the summit with the Seven Sisters and Crowsnest Mountain in the background. Looking down from the summit at some other climbers coming up behind us (you have to look very closely…). 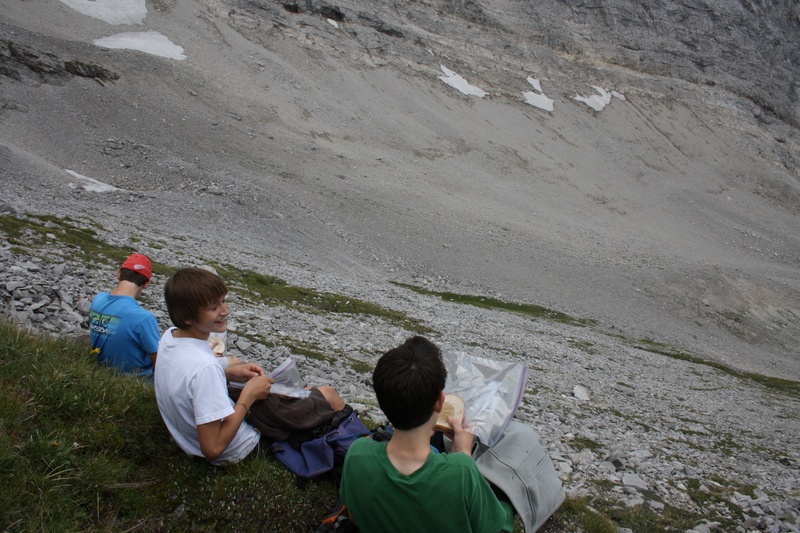 The guy in the yellow helmet (lower left) actually made it up to the summit while we were there and we had a nice visit. The other climber is in white in the middle of the green patch. 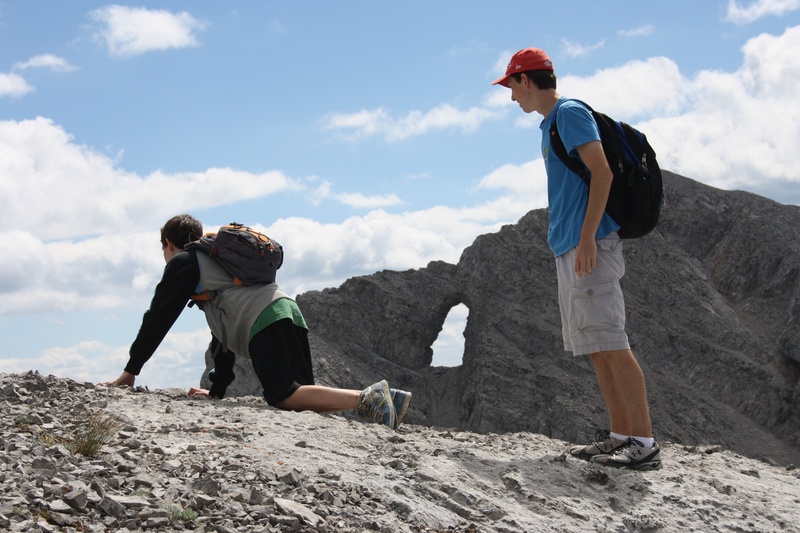 They chose a more direct route to the summit. Joel and Mike heading off the summit. Heading home. Racehorse Mountain is in the background. A view back to Mount Ward from the Window Mountain Lake Trail. One last look at Ward from a few km’s away on the logging road. What a great way to have spent a summer’s day!